Reflecting on my reading of CONFIDENT OF BETTER THINGS, the opening chapter concerns Paul Woolley, professor of church history at Westminster Seminary for some forty years. John Muether spends several pages in that article discussing Woolley as an author. In all his years at the institution, Woolley never wrote a full-length article for the WESTMINSTER THEOLOGICAL JOURNAL, thought he did author some ninety-five book reviews for the JOURNAL, and over fifty articles for the PRESBYTERIAN GUARDIAN. A few of his articles landed in unusual places. An overview of American Presbyterian history was serialized in the REFORMED PRESBYTERIAN ADVOCATE. And I’ve just come across another article, this one on ministerial training, that appeared in a small publication edited by William Stanford Reid in the early 1950’s. The PCA Historical Center was blessed a few years ago to receive the donation of a nearly complete run of Reid’s magazine REFORMATION TODAY, and this article by Woolley is drawn from that publication. [If you don’t know of Stanford Reid, I strongly encourage you to locate and read a copy of A. Donald MacLeod’s biography, W. STANFORD REID: AN EVANGELICAL CALVINIST IN THE ACADEMY. HOW IS A MINISTER TRAINED? When Bill Smith first goes to kindergarten, his father and mother take the existing school as they find it. But it interests them, and they think about what is happening to Bill there. As a result, education becomes a very lively topic. Both in Canada and the United States the relation of state support of schools to religious instruction is constantly being discussed. If it is not the policy of the government of Ontario, it is the speech on the subject of President Conant of Harvard that is the subject for comment. The principles which should guide education at the university level, undergraduate and graduate, have not been as widely considered as those concerned with Bill Smith’s kindergarten. But these principles, too, especially as they affect theological education, are of particular importance to Christians and the Church. The theological student studies the liberal arts before he turns his attention specifically to theology. This is to acquaint him with the world in which he lives so that he may learn how to think and have materials, facts, with which to think. There is no use in trying to apply theology to an unknown world and to unintelligible people. In order to be effective the arts course must consider the world and the points of view in it as broadly and as understanding^ as possible. One can never learn anything about communism and how to oppose it, for example, if one never sees the positive things which it has accomplished and by means of which it attracts people to support it. At the same time, there has to be a standard of judgment. For the Christian that basic standard ought to be the Bible. The greater knowledge of the Bible the arts student has, the greater wisdom he will show in thinking about the world in general. He needs to know as much about the Bible as possible when he enters the university and he ought to be constantly using the Bible as a touchstone. In the liberal arts course, however, the student will find that many of his studies concern subjects about which there is not an absolute right or wrong for all times and all places. To talk technically for a moment, they belong to the realm of the adiaphora. For example, no one form of government is always best everywhere on earth. In Canada and the United States democracy is best, but it would be foolish to introduce full democracy overnight into Afghanistan. It requires preparation. So if the Canadian student became Emir of Afghanistan next Monday, he would not be sinning if he failed to introduce full democracy on Tuesday morning. If, however, he became Premier of the government of Canada on Monday and tried to introduce the governmental methods of Afghanistan on Tuesday, he would be sinning for the short period that the attempt would last. As soon as the liberal arts student has finished that course and begins to study theology, he faces quite a different situation. Now he is studying the Bible itself or, at least, he should be. For the study of protestant theology should always be basically the study of the Bible. When one studies the Bible, one is always studying something about which there is a basic right and a basic wrong. The Bible is God’s Word and one understands it aright or else fails to understand it. There is no real comparison between the study of theology and the study of any other subject, but the subject which comes closest to it is medicine. Medicine seeks primarily to teach methods of keeping the body healthy. Theology seeks primarily to teach methods of keeping the spirit healthy. A medical student therefore selects a school where a view of medicine is taught that he considers basically sound. He takes his full course there and then tries to study other systems in the light of what he has learned. A medical student who is not a Christian Scientist would not take his basic course at a school for Christian Science practitioners and then do graduate work at the School of Medicine at McGill. He would go first to a faculty such as McGill and then try to understand the healings of Christian Science in the light of what he had learned at McGill. The situation for a theological student is not entirely dissimilar. If he is a Protestant Christian, the wise procedure is to go to a seminary which accepts the basic authority of Protestantism, the Bible, as trustworthy. At such a seminary he will take the full basic theological course in order to have a sound foundation for his thinking and his practice. Later, as he meets other religions and other forms of theology, he may wish to study them intensively. But he will have a standard of comparison, the Bible and its system of thought. The system of doctrine taught in the Bible is not an adiaphoron, it is basic to Christianity. It is the form of theology with which all students should begin. Seminaries differ rather widely in multitudinous respects. Their usefulness can very largely be judged by an examination of these elements. The basic point of view represented by the teaching in a seminary should be consistent, integrated and sound. The teaching of each department should fit in with that of the others to make a unit that taken together has logical consistency. It ought to cover the field adequately. It ought to be based on principles that flow from the source of final authority, the Bible. It should make a well-rounded whole. This does not mean, however, that points of view inconsistent with that presented are not considered. They should be considered and be considered fully. Only thus do error and truth fall properly apart. The faculty of the Seminary is its most important asset. Its members need to be men of earnest sincerity, thoroughly informed concerning both the foundations and the latest developments of modern scholarship in their respective fields, and able to transmit knowledge and stimulate thinking by wise and appropriate teaching methods. They need to know what is going on in their fields whether they agree with the conclusions or not, they also need to be convinced of their own presuppositions. And they must know how a student can best be made acquainted with the field. Some modern pedagogy is silly, some is sound. Without curbing full freedom of discussion, it is the teacher’s opportunity to make clear the factors that result in a conviction concerning the truth. A theological teacher who has outgrown the conception of truth is largely useless. The admission requirements of a theological institution reflect the level of its teaching. If they are proper, the students will be prepared intelligently to enter into the discussion of the work and to understand the presentation. Discussion by the group is an important element in theological teaching. For this reason, it is important that the student have adequate preparation in knowledge and also in the art of discussion. The seminary prepares for the ministry. A minister must be a man who can intelligently deal with the spiritual problems of every walk of life. If his education in arts is narrow, he has no background upon which to develop his theology, he has little understanding of the ultimate problems of human beings, who are both rational and emotional. Nor, of course, can he understand why and how theology has developed as it has. Another important element in this immediate connection is a diversified character of the student body. Discussion is more illuminating, more facts are available, if the students represent a wide range of national backgrounds, if they have attended many different colleges, if they represent varied types of childhood training. A minister ought to begin to meet his problems in the seminary, not only after he has become a pastor. A seminary can never teach everything. What does its curriculum try to accomplish? If it hopes to include everything, it will be a failure. The seminary curriculum can only transmit the basic tools and skills which the minister needs. It should teach the original languages of Scripture and how to use them in ascertaining the meaning of the text. It should teach the basic principles upon which the text is approached; it should set forth the broad outlines of the system of truth which emerges from the study of the text. It will show the fundamental means of applying these truths to the needs of the people. And it will point out what has happened in the past when they have, and when they have not, been applied. Only after all this has been done is it important to master the latest techniques of propagation such as radio and television. The content must be in hand before it can be determined how best to present it. The most important element of material equipment in a seminary is the books of the library. They are the basic tools. They must include the fundamental tools, many of them old but indispensable. They should also include the latest theological developments. They will need to be in many languages, and if the student is wise he will early acquaint himself with Latin, German, French and Dutch or as many of them as he can. The books must be accessible. If the student cannot see them on their shelves, he will miss many of them. Other physical equipment in the way of classrooms, dormitories and a campus is useful but relatively much less important. There is no ideal seminary in existence, but some approximate it much more closely than others. In every case, neither faculty nor students may rest on their oars. There is still ground ahead to be reached. Q. 23. — What offices doth Christ execute as our Redeemer? A. — Christ, as our Redeemer, executeth the offices of a prophet, of a priest, and of a king, both in his estate of humiliation and exaltation. Scripture References: Acts 3:22; Luke 4:18-21; Heb. 5:5-6; 4:14-15; Rev. 19:16; Isa. 9:6-7; Ps. 2:6. 1. What do we mean by the term “office”? The word “office” comes from the Latin “officium” and means any special duty or trust or charge laid upon or taken up by one person to perform for another. It is interesting to note that the term is never used to indicate what a person does for himself but is always implying what a man does for another. It is a term that is not used o in Scripture, but is a Theological term used in our Standards. 2. What does it mean to “execute” an office? To execute an office is to do or perform all that belongs to the office. 3. Was Jesus Christ ordained or appointed to these offices? Yes, Christ was ordained to these offices from all eternity. 5. Is there anyone else in Scripture that had all three of these offices? No, no one in Scripture had all three but Christ, not even those who were typical of Him in the Old Testament. 6. In what ways does Christ execute these offices? He executes these offices in His state of humiliation here on earth and continues to do so In His state of exaltation now in heaven. Every time I see the word “Redeemer” in print I think of the verse in Titus 2:14, a glorious verse for the Christian: “Who gave himself for us, that he might redeem us from all iniquity, and purify unto himself a peculiar people, zealous of good works.” The fact of redemption is taught over and over again in the church. Our standards teach it and mean by it “the necessary, objective, voluntary, expiatory, propitiatory. substitutionary, and efficacious character of the act of Christ whereby He gave Himself for us.” (Hendriksen). The result of redemption is sometimes neglected by the church. Titus 2: 14 gives us a good picture of what God expects to be the result of redemption. Surely the result of redemption is for the purpose of redeeming us from our iniquity. It is equally important that it be for the purpose of purifying unto himself a “peculiar” people, people that would have a real desire for good works. It is in this latter area the church of today seems to fail. Not long ago I heard a man preach a sermon on the need for a twentieth century reformation. The point was brought out that in the church of today there are many more Christians than in the first century but there is a greater lack of power within the large group. I have often wondered if the answer to this problem of lack of power does not have something to do with the low standard approach used by the church of today. As is true in so many circles of education, mediocrity is the standard of the church. This means that there are always a few that will rise above the standard but the average person will fall below the standard set. The standard of the church today seems to have something to do with being a people of His very own and those with a zealous attitude of good works. The fact of redemption is taught and believed by many. The results of redemption are bypassed in so many cases. The church has almost reached the place of being afraid to speak up and out against the ungodliness and worldly lusts and is afraid to raise the standard to God’s standards, not simply a standard that is above the reproach of the Society of which it is a part. If we are redeemed by the blood of the Lamb we should thank God! But it does not end there. We must demonstrate the reality of our redeemed nature. (James 2:17-18). August 19: Ken Horner, Jr. It consisted of twenty-five chapters, supports with Scriptural texts, strengthened by words such as “cleave, serve, worship, and trust.” They had to be some knowledge of church history by its readers in the distant past, as it condemned the heresies of Arius, Marcion, Eutyches, and Nestorius by name. Obviously, Roman Catholicism was thoroughly denied in the confession. It was read twice, first to the Lords of the Articles, and second to the whole Parliament, with members of the “Six John’s” standing up to answer any and all protestations. Very few were enunciated. The votes of every member of the Parliament were then recorded. While there were a few negatives, the majority in the affirmative was clear and strong. Scotland has a Reformation Creedal standard. Two acts, as John Knox wrote in his History of the Reformation, were passed in additions to the Scots Confession. The one was against “the Mass and the abuse of the Sacrament, and the other against the Supremacy of the Pope.” (pg. 233) All laws at variance to the Reformed faith were set aside. The entire Scot Confession of 1560 can be read online here. This Reformation Confession would provide the spiritual foundation of the Scottish Reformation until the Westminster Confession and Catechisms would replace it in 1648. This author in his forty years of ministry within Presbyterian churches has often heard visitors, upon hearing of our Confessional Standards, reply that they hold to “no creed but Christ.” Now that succinct statement sounds good, but in truth even the apostate would affirm it.The only difference would be that his “Christ” is very much different from the Christ of the Bible. And that is the reason why a Confessional standard is needed by the true church today. To be sure, it is never held above the Bible. It is always a subordinate standard. We receive and adopt it as elders of the church. We look upon it as a summary of the teachings of the Old and New Testaments. Reader, if you haven’t cracked open its pages for a long time, spend some time this week in reading again its chapters. You will be thankful again of this historic standard of our Presbyterian and Reformed churches. August 16: William Brenton Greene, Jr., D.D. William Brenton Greene, Jr., was born this day, August 16th, in 1854 in Providence, Rhode Island. Educated at the College of New Jersey (Princeton University), and graduating there in 1876. he then worked as a teacher while preparing for the ministry at Princeton Theological Seminary, 1877-1880. Rev. Greene was ordained by the Presbytery of Boston (PCUSA) on 3 June 1880 and installed as pastor of the First Presbyterian church of Boston, where he served from 1880-1883. He next answered a call to serve as senior pastor of the Tenth Presbyterian church, in Philadelphia, succeeding Dr. John DeWitt in that post and serving there from 1883-1892. Finally, he was then appointed to serve as the Stuart Professor of the Relations of Philosophy and Science to the Christian Religion, at the Princeton Theological Seminary, a post he held until 1903, after which he held the Chair of Apologetics and Christian Ethics, from 1903 until his death in 1928. Among his many honors, he was awarded the Doctor of Divinity degree by the College of New Jersey in 1891. Dr. Greene is buried at the Swan Point Cemetery in Providence, Rhode Island. Perhaps you’ve never thought of it before now, but doesn’t Dr. Greene’s analysis prompt you to pray for those very seminary professors who train our candidates for the ministry? Our post today is from Chapter VII of PRESBYTERIANISM FOR THE PEOPLE, by the Rev. 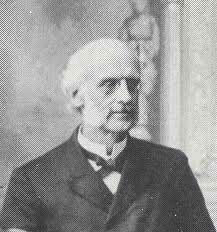 Robert P. Kerr (1883). Please keep in mind that the author here is speaking of the organization of his own Church at that time. There are many differences today for most of the Presbyterian Churches in this country. For one, only the PC(USA) has the Synod level court; the PCA, OPC, EPC and other conservative Presbyterian denominations do not employ the Synod structure. This assembly has under its care all the Presbyteries in a large district, corresponding, usually, in America, with the area of a State—for example, the Synod of New York or the Synod of North Carolina. The Synod is usually composed of all the ministers and one elder from every congregation in its bounds; but, in some branches of the Church, Synods are allowed to choose between this plan and that of having its members appointed by the Presbyteries under its care. This is the highest authoritative assembly of the Church. It meets annually, and has charge of all the Synods in its division of the great Presbyterian sisterhood. It is composed of an equal number of ministers and elders, appointed by the Presbyteries. If a Presbytery has more than twenty-four ministers on its roll, it may send two ministers and two elders, and in some branches of the Church may go on increasing the number of its delegates by two for every twenty-four ministers in its membership. There are many General Assemblies, representing many bodies of Presbyterians, and all independent of one another. Some men came down from Judea and began teaching the brethren, “Unless you are circumcised according to the custom of Moses, you cannot be saved.”2 And when Paul and Barnabas had [a]great dissension and debate with them, the brethren determined that Paul and Barnabas and some others of them should go up to Jerusalem to the apostles and elders concerning this issue. 3 Therefore, being sent on their way by the church, they were passing through both Phoenicia and Samaria, describing in detail the conversion of the Gentiles, and were bringing great joy to all the brethren. 4 When they arrived at Jerusalem, they were received by the church and the apostles and the elders, and they reported all that God had done with them.—Acts 15:1-4 (NASB). This section of Scripture and the verses that follow establish the groundwork for the higher courts in the Presbyterian system of church government. In what seems like a land far away and in a time long ago, there once was publishing without the internet. Moreover, few reformed organizations seized that day. Thanks to a providential location for ministry and being surrounded by some very talented people, this pastor of a small church was able to participate in some of the unfolding of a new medium. I was called to pastor the Covenant Presbyterian Church in Oak Ridge, Tennessee, in the spring of 1984. Possessing only low-tech skills and a humanities orientation, ironically I went to this historically high-tech community, filled with scientists and world-class technical researchers. I was steeped in liberal arts courses but a technical illiterate. My elders dragged me onto the information highway in its infant days, and with their support, we were able to form the first Reformed online journal, Premise, in 1994 (and continued through 1999). The Kuyper Institute started publishing its online briefings and analysis in the late summer of 1994, just prior to a sweeping congressional sea change. Yes, it was an ambitious vision that was never fully realized, although the fine articles which populated our e-pages were not only cutting edge for that day but also composed by a rising generation of evangelical scholars and organizational leaders. Ruling elder and friend (now Dr.) Mark Buckner was the primary poster, the brains, and the entire technical department; without him, there would have been no CAPO. Still, Premise may have been the most widely read of our organs. That monthly magazine, first published in December 1994, featured editorials, essays, book reviews, substantive theological articles, political briefings, sermons, chapters from forthcoming works, and other writings. At the time, although we were unsuccessful, we sought to drag other fine reformed ministries and educational institutions onto the internet. However, after a few years, many ministries came to realize that the internet was neither a fad among college students nor reserved for the military. Little could most elders predict how wide ranging and developed internet publishing would become. Those of us who ventured onto the internet a decade before the explosion of blogs were on new technical turf, despite our protestation to the contrary that in the realms of ideas there was nothing new under the sun. This was in the day before Amazon was launched. And very few newspapers were online. I remember when Mosaic software was the first truly graphical interface and how much that advanced our online publishing. I recall a time before Microsoft had web publishing software and the time before either Mozilla or Internet Explorer. Yet, we did think the day would come when personalized news services were available and information would be interlinked. Moreover, the international access led to stunning missiological possibilities. With gratitude to God for all his gifts, thus, I am happy to dedicate the digital version of Premise to the PCA Historical Center, both with my thanks to that organization and to its director, Mr. Wayne Sparkman. with SUBSCRIBE CAPO-L in the body of the message. Back issues and other studies remain posted, providing a unique timely biblical analysis of American politics. Among all the other political think tanks, The Kuyper Institute is unique in this: It alone has been created and developed to promote a distinctively Christian critique of modern politics. The Calvin Institute for Theology, is named after John Calvin (1509-1564). It contains essays on various historical periods of theology and offers in-depth analysis and critique. Included are essays on current themes, historical essays, bibliographies, and numerous other studies, providing a unique online theological repository. The Van Til Institute for Apologetics is our center for the reasoned defense of the historic Christian faith. Named for a ground-breaking 20th century apologist, Cornelius Van Til, this center provides some of the finest cutting edge scholarship in the world. This center serves an international community with the highest caliber of thoughtful apologetic studies and resources. The Augustine Institute for Ethics specializes in, medical, legal, and philosophical ethical issues. Named after Augustine of Hippo (354-430), this center concentrates on applying the most solid of ethical criteria to modern issues, frequently contrasting the two philosophical oppositions observed by Augustine: The City of God or the City of Man. Current, analytic, and systematic studies are contained. The Burke Institute for Economics seeks to apply historic Christian norms to economics. This center honors the work of Edmund Burke (1729-1797). Long under-appreciated in terms of its impact, economic theory and practice is as value-laden as anything else. This center seeks to champion a biblical approach to economics in theory and practice. The Newton Institute for Science. Few areas need more attention than science. Isaac Newton (1642-1717) applied scripture to science; this center encourages the same by its thoughtful studies on the interface of science and Christianity. 2011 Note: those marked by an asterism (*) went on to lead major reformed or evangelical organizations. Our motto was: Looking for Wisdom as Ancient as the Scriptures.”Since June of 1994.
. . . Distinctively biblical perspectives. In early 1994 an insightful Board conceived, funded, prepared, and launched the first evangelical think tank on the World Wide Web, a service that is . . .
consistently reflective of the ancient (paleo) biblical faith. With a consortium of 7 distinct think tanks, a monthly award-winning journal, numerous electronic publishings, and a publishing arm, and an online bookstore [2011 Note: This was pre-Amazon.com but we did not have the business savvy to develop this], this center combines the best of modern technology with proven truth. The Center for the Advancement of Paleo Orthodoxy is a distinctively biblical and historic consortium of networked think tanks, publications, and scholars. The purpose of the Center, located in Oak Ridge TN, is to shed ancient biblical light on modern issues. Admidst the demise of modernity and postmodernism, CAPO is unconvinced that all earlier thinkers should automatically be excluded from modern discussions, as if moderns are inherently and categorically superior. CAPO reaches thousands of international readers per month and has won the following awards . . .
Archibald Alexander served as moderator of the nineteenth General Assembly of the Presbyterian Church in the U.S.A. With his departing sermon at the following year’s Assembly, Alexander made the case for the creation of a seminary, in keeping with a growing sentiment in the Presbyterian Church. Princeton Theological Seminary was founded in 1812 and the General Assembly almost unanimously voted Alexander its first teacher. He accepted and was inaugurated on August 12, 1812. Samuel Miller began teaching in 1813, and together the two men served as the anchors of education for the Presbyterian ministry until Miller’s death in 1849 and Alexander’s in 1851. Charles Hodge was the third professor at Princeton, and Alexander’s son, James Waddel Alexander, also served as professor at Princeton Theological Seminary. “The inauguration . . took place on the twelfth day of August, 1812. It was an occasion of great solemnity and feeling. 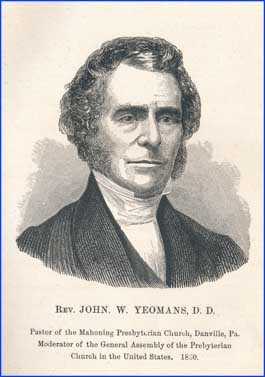 The older ministers, especially those to whom the direction was entrusted, looked with parental yearnings on the infant seminary, and none were more ready to hail with thankfulness and hope the approach of new means for training the ministry, than those excellent men who lamented the scantiness of their own early opportunities. But to none did the service of the day bring greater solicitude than to him who was about to put on armour for which he unaffectedly felt too weak. The first discourse was a sermon by Dr. [Samuel] Miller, of New-York, on the Duty of the Church to take measures for providing an Able and Faithful Ministry; from the words, “And the things which thou hast heard of men, among many witnesses, the same commit thou to faithful men, who shall be able to teach others also;” 2 Timothy, ii. 2. It was an able investigation of the question, what is to be understood by an able and faithful ministry, which was made to include piety, talents, learning and diligence; and of the means which the Church is bound to employ for providing such a ministry. . . .The Inaugural Discourse of the Professor was founded on the words, “Search the Scriptures,” John v. 39; and was a learned argument in behalf of biblical study. In one respect the whole performance was true to the habit and character of the speaker; for it did not contain, from beginning to end, the faintest allusion to his own personality. All depreciation of censure, and all promise of fidelity, were equally absent. It was followed by a charge to the Professor and Students of Divinity, by the Rev. Philip Milledoler, D.D. . . . It is for the public to determine how far the work in which these good men then engaged, with such earnestness and many prayers, has conduced to the progress of religion and learning in the United States. It was with an unfeigned reluctance that Dr. Alexander accepted the appointment. No man could entertain a higher estimate of the functions which awaited him; no man of eminence could think more humbly of himself. All his life long, he was free to acknowledge, that his training, however laborious, had lacked much of the rigor and method of the schools; and while he had pursued knowledge with enthusiasm, and in many fields, he knew that it had been with the neglect of certain forms which are supposed to give fitness for the academical chair. Theology had indeed been the study of his life. Its difficult questions had been the constant occupation of his profoundest meditations; and he had during his residence in Philadelphia gathered about him the great masters of Latin theology, whose works appeared in Holland, Switzerland, Germany, and France, in the sixteenth and seventeenth centuries. In his Introduction to Athanasius: On the Incarnation, C.S Lewis wrote these words on the value and place of reading older books. Now this seems to me topsy-turvy. Naturally, since I myself am a writer, I do not wish the ordinary reader to read no modern books. But if he must read only the new or only the old, I would advise him to read the old. And I would give him this advice precisely because he is an amateur and therefore much less protected than the expert against the dangers of an exclusive contemporary diet. A new book is still on its trial and the amateur is not in a position to judge it. It has to be tested against the great body of Christian thought down the ages, and all its hidden implications (often unsuspected by the author himself) have to be brought to light. Often it cannot be fully understood without the knowledge of a good many other modern books. If you join at eleven o’clock a conversation which began at eight you will often not see the real bearing of what is said. Remarks which seem to you very ordinary will produce laughter or irritation and you will not see why—the reason, of course, being that the earlier stages of the conversation have given them a special point. In the same way sentences in a modern book which look quite ordinary may be directed at some other book; in this way you may be led to accept what you would have indignantly rejected if you knew its real significance. The only safety is to have a standard of plain, central Christianity (“mere Christianity” as Baxter called it) which puts the controversies of the moment in their proper perspective. Such a standard can be acquired only from the old books. It is a good rule, after reading a new book, never to allow yourself another new one till you have read an old one in between. If that is too much for you, you should at least read one old one to every three new ones.